Who is this for and who are the team members? We are ready to take on the WORLD! 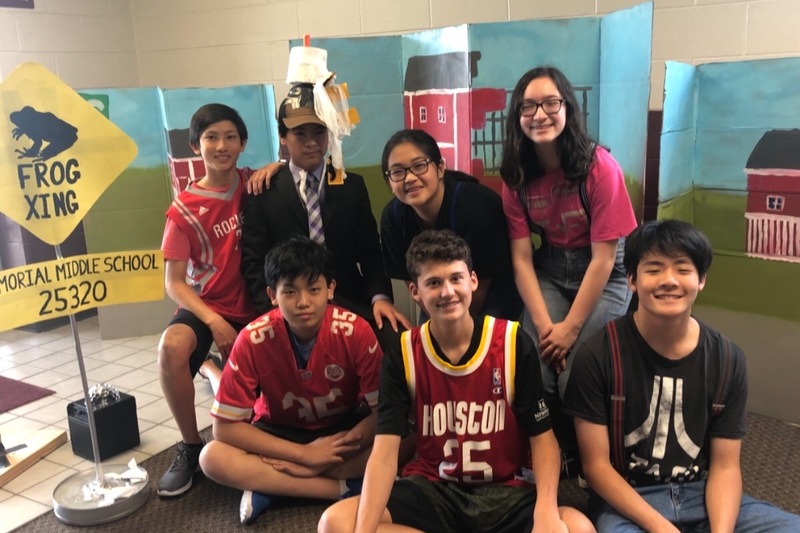 MMS 8th grade team is going to the Odyssey of the Mind World competitions in Michigan State University on May 22nd through May 25th !! You might ask what is Odyssey of the Mind? 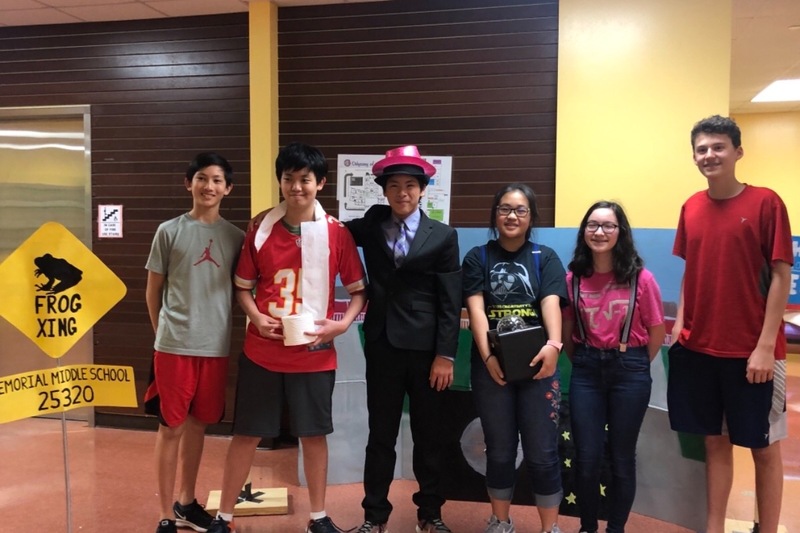 Odyssey of the Mind is a scholastic competition where teams choose a long term problem and present their solutions at competitions which usually start in March. The problem we chose is opposites distract in which requires us to make an eight minute skit with a $125 budget. In this budget we need to have creative backgrounds, costumes etc. All while making it humorous and about two groups being tricked by a sneaky character but catch him and present an important moral. When we go to Michigan State University in May, there will be over 800 teams from 26 different countries there all competing against each other. Many of us have been in OOTM for an incredibly long time and it has been our dream to advance to world. This year our dream finally came true when our team advanced to finals by getting 2nd place in our state tournament. Through our harrowing journey together, our team has become closer and we have made great friends. Being in this team has not only given us a chance to challenge us mentally but has also given us a unique experience. With the support of the many people around us, we have been able to make it this far but with the support of you, we can make it even farther. 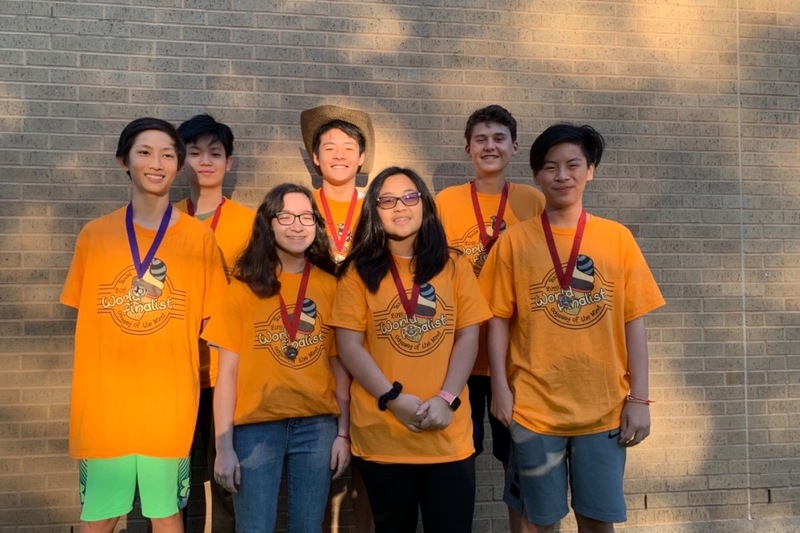 Although we aren’t the first team to qualify for a world competition for Memorial Middle School, we hope to represent the Eagle spirit like no one has before. We will show others at the competition that Eagle pride never dies and is showing even all the way in Michigan. In order to attend the World Finals at Michigan State, we need to raise around $10,000 to get our 7 team members and our coach. Your generous donation will be used to pay for tournament fees, airfares, room accommodation, meals, as well as shipping costs for our props, Any amount you can donate is greatly appreciated. On a side note, we are also offering businesses sponsorship opportunities on the back of our team T-shirts. Please call our coach, Yen Nguyen at 713-724-3773 or email her at ynguyen0@yahoo.com to find out more. Thanks in advance for your help and generosity. Wish us luck! Regional Competition at Walnut Bend.